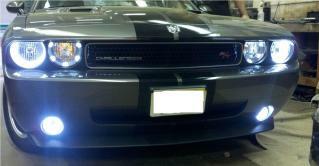 Aftermarket accessories are the quickest, easiest and least expensive way to get more enjoyment out of your vehicle. Because of our longevity and reputation as a dependable business, we have established a wide variety of contacts that enable us to offer custom accessories made exclusively for your vehicle. Not all aftermarket accessories need to be professionally installed – but when they do, we can do that too. Keep in mind that all of our installations are done in house – we will never send your vehicle out for ‘someone else’ to do the job. We offer an extensive selection of items from Remote Starters for your car or truck, Seat Heaters and Seat Covers, to Window Tinting, Window Deflectors and Bug Shields. We also have Custom Fit Bed Covers for your truck, Covers for your Car or Truck, and Dash Toppers that protect your dash. If your steering wheel needs a little TLC, don’t’ worry, we are an exclusive Wheelskins dealer – the top name in the industry for the finest, custom fitted leather steering wheel wraps. Don’t forget, the first step in keeping your interior clean is with quality floor mats. We are a proud distributor of Lloyd Mats, a leader in custom crafted mats – it’s a name you can step on with confidence. Whatever you’re looking for, give us a try! We have so much more – too much too list! Remember, Accessories also make great gifts! Remote starters are convenient and great on cold, winter days to defrost those windows! Remote starters can be installed in almost all vehicles, and make GREAT gifts! Call us for pricing today! 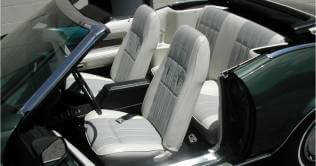 The comfort and pleasure of heated seats is now available for all vehicles and can easily be installed by us. Our seat heaters quickly provide comforting warmth to the body through the seat long before the vehicle’s heater has a chance to heat the interior. The seat heaters come in two models, single temperature and high-low systems. Both systems feature automatic temperature control and automatic shut-off. Seat heaters provide soothing warmth and therapeutic benefits. They are the luxury option that makes winter driving more enjoyable. 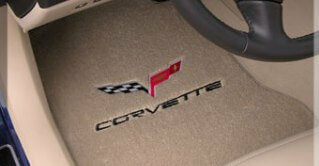 Carpet Mats – Ultimats are a product of Lloyd Mats and are the leader in custom auto mats since 1978. The premium dupont nylon yarn provides a rugged performance that really makes the long term difference. With over 45 mat colors, you’re sure to find the mat color to match your vehicle’s interior. With a computerized pattern system, the ultrasonic mat cutting equipment ensures the best fitting mats you’ve ever had. Optional features include an embroidered emblem or personalized message. Rubber Mats – Premium Rubber Floor Mats are made out of heavy-duty rubber. These all-weather mats have deeply sculpted channels designed to trap water, road salt, mud and sand. Made of up to 16 lbs. of pliable natural rubber, these mats won’t curl, crack or harden in sub-zero weather. These mats also have anti-skid ridges to prevent shifting in your vehicle and come with a protective, non-stick finish to make cleanup quick and easy. Our truck bed covers are unique, featuring an aluminum frame that allows the tailgate to lower without unsnapping the cover. The easy snap channel allows for quick and complete cover removal without removing the frame. The frame & snaps come with a lifetime guarantee. These covers come in a wide range of colors and provide total weather and wind protection for cargo and reduce drag, thereby increasing gas mileage. Window tinting keeps a car looking and feeling cool! 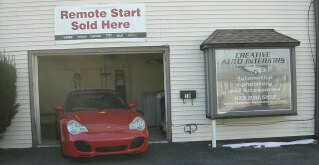 We also offer vehicle wrapping! Please call for pricing! Founded in 1978, as Toms Auto Upholstery, Creative Auto Interiors is a full service auto upholstery and after-market accessory shop. We specialize in everything from convertible tops for both old and new cars, re-upholstery of car seats, motorcycle seats, snowmobile seats and marine. Our highly trained and qualified staff has over 45 years of combined industry experience. We pride ourselves with Quality and Prompt service which exceeds industry standards and has earned us a reputation that we are proud of.